15 Year Old Violin Prodigy Clarissa Bevilacqua comes to Maryland for a documentary premier and Q&A session. It’s International Teach Music Week! Maryland Winds presents “Suites & Treats” on February 19th! Brian Ganz Plays Chopin at the Music Center at Strathmore! American University announces a unique opportunity: Grand, upright and digital pianos used throughout the past academic season are being replaced, and current models are being offered on a first-come basis by appointment during a two day event. These instruments from Yamaha are typically less than two years old, have been professionally maintained at American University’s Katzen Center for the Performing Arts, and are typically in very good to excellent condition. Each includes the original factory warranty. To avoid academic interruption and ensure each piano is tuned and prepared for private acquisition, the event will be held off campus at Jordan Kitt’s Music in Rockville, MD and Fairfax, VA. Each piano is available in the order of appointments received. The event is by appointment only on Friday and Saturday, March 13 and 14, and will be open to the general public on Sunday, March 15 from noon to 5pm. 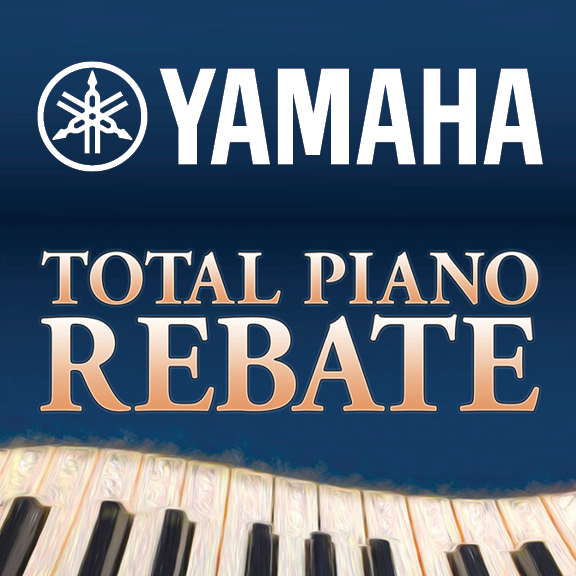 The Yamaha Total Piano Rebate: Yamaha has announced a unique and broad spanning opportunity to get instant factory rebates on over 50 of some of the most popular Yamaha models. Buy any one of these qualifying Yamaha Acoustic, Disklavier, Hybrid, TransAcoustic, Clavinova or Silent Piano and receive an instant rebate valid for up to $1,000 off! Don’t wait, this offer expires March 31, 2015. With over a century’s worth of experience manufacturing world-class acoustic pianos and over a half-century in Hi-Fi audio and electronic instruments, only Yamaha can offer such a range of Acoustic Pianos, Pro Stage Pianos and Industry-Standard Synthesizer Workstations to consumer Portable Keyboards and Digital Pianos. Only Yamaha can offer an instrument for musicians at every level. Unparalleled in their beauty and musical range, Yamaha’s Acoustic Pianos are the ultimate expression of the piano maker’s art. The culmination of over 100 years of craftsmanship and design, every stage of the Yamaha piano manufacturing process is predicated on time tested techniques honed over the years by Yamaha craftsmen. Following the best practice and traditions of fine musical instrument building, the eyes, ears and hands of each craftsman, along with their passion for the piano, make it possible for new instruments and sounds to be born each day. For more information about specific models and rebates at the Jordan Kitt’s Music near you, visit here. "Conversations in the Piano Salon - The Great Piano Masterworks" with pianist Antonio Di Cristofano! Pianist Dr. Raffi Kasparian, D.M.A. in Concert! © 2015 a Jordan Kitt's Music company. All Rights Reserved. No duplication allowed.